This summer, the Centers for Disease Control and Prevention is warning that tick borne diseases are on the rise. This means that the prevention should be on all of our minds, including your Beaverton family dentist. Considering the health risks linked to Lyme and other tick borne diseases, avoiding and seeking treatment for these conditions is vital to protect our long-term health. 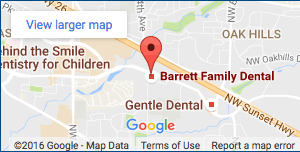 But can your Beaverton family dentist really help patients fight against tick borne diseases? Yes, according to the CDC. Dentists can help detect possible cases of Lyme disease. In some cases, patients may present facial pain and headaches that mimic a TMJ disorder. However, the CDC suggests that a dentist should consider Lyme disease as a possible cause of a patient’s discomfort if a patient complains of facial pain but has no specific oral health problem. The majority of dental problems have easily identifiable causes. However, just because a patient may suffer from the symptoms of a common oral heal condition doesn’t necessarily mean that problem exists if not easily identified. Recognizing the symptoms of an underlying health condition is a common part of what your Beaverton family dentist provides patients during routine exams. Our mouths act like a window that allows your Beaverton family dentist a look into a patient’s overall health. Tooth pain, bleeding gums, and missing teeth can all serve to indicate a more severe underlying cause if you know the signs of what to look for. Just as your Beaverton family dentist can help to identify the signs of Lyme disease masquerading as something more benign, regular exams provides our team with the chance of helping to protect patient health in ways that extend beyond a great looking smile.